Denis MacShane was the UK Minister for the Balkans 2001-2005 and travels regularly to write about the region. It is now 20 years since Europe’s last major armed conflict broke out in the Balkans. Open warfare between Kosovans and Serbs was unleashed in the last desperate throw of the Milosevic regime to maintain Serb supremacy over the former Yugoslavia. In 1995, 4,000 European Bosnians were murdered in cold blood one by one in Srebrenica. As the Serb aggression moved into Kosovo up to one million Kosovars fled for their lives to find sanctuary in Macedonia and Albania with many applying for refugee status in Britain and other EU member states. By 1999 the democratic world’s patience snapped and Europe and the US joined to bring to an end the decade long tragedy of the Balkans wars. But the end of the fighting did not bring peace. The sense of victimhood burns strong. 20,000 Kosovan women of all ages were raped but not a single Serb officer or solider has been held accountable. There were savage killings by Kosovans on Serbs in 1999 rather like the épuration revenge killings in France in 1944 and 1945 as French resistance outfits settled scores with their opponents. Such hates can last generations but the time has come to move on. Kosovo is now celebrating the tenth anniversary of its declaration of independence in 2008. Unfortunately, five EU member states refused to recognise Kosovo’s right to independent status as a nation state like the other states which emerged from the Balkan wars in the 1990s. In addition, Serbia backed by Russia, insists on the fiction that Kosovo is still a breakaway province of Serbia that one day will come its senses and return rule by Belgrade. This stalemate as if France and Germany were unable to recognize each other two decades after 1945 need to end. Boris Johnson has made this point in repeated visits to West Balkan capitals when he has addressed parliaments as he did in Pristina, the Kosovo capital last year. This is an unprecedented level of engagement in a small corner of Europe by a British Foreign Secretary for which Johnson deserves credit. He has announced London will host a major West Balkans conference this summer in conjunction with Brussels. Jean-Claude Juncker, who began his five-year term in office as EU Commission president in 2014 by saying there would no new enlargement has now said that some of the West Balkan nations – Serbia, Kosovo, Albania, Macedonia, Montenegro and Bosnia – should aim for EU membership in 2025. There are major obstacles to overcome. Serbia refuses to recognise Kosovo and want court proceedings against Kosovars accused of committing war crimes in the late 1990s. Skope and Athens are trying to find a resolution to what the former Yugoslav nation might be called as Macedonia in Greece is larger in size and population than the Slav-Albanian nation to its north. Ultra-Nationalist Albanians members of the Kosovan parliament block a vote to accept a demarcation of the Kosovo-Montenegro border that both governments have accepted. Corruption is endemic in the region but not worse than in Bulgaria and Romania or across the Adriatic in southern Italy or indeed in McMafia circles in the Russian oligarch community in London. 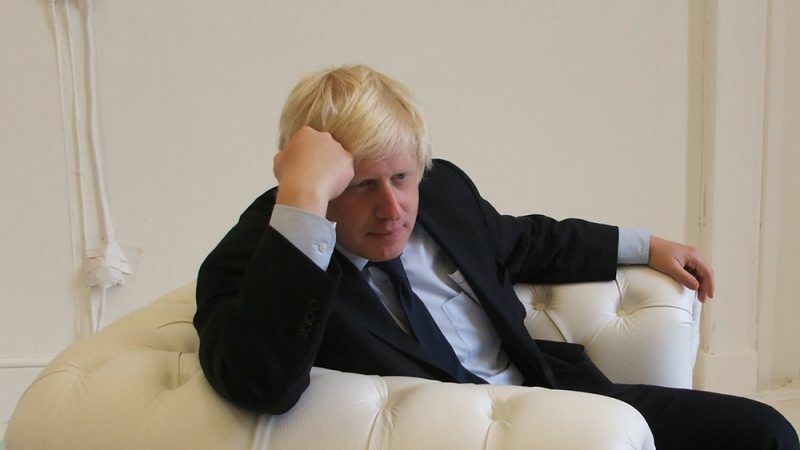 Can the UK under Boris Johnson’s FCO can be the lead nation in helping the divided and unhappy West Balkans nations to leave their divisions and hates behind and seek to become small but law-abiding European nations? Twenty years after the last war in Europe Britain should try and help the West Balkans find a way to a happier 21st century. A lyer helping corrupted politicians who have been recognized trafficking human organs taken from pow ?